From time to time my son is accompanying me as I visit my studio. Once I just watched his game with objects he has found on the shelves. 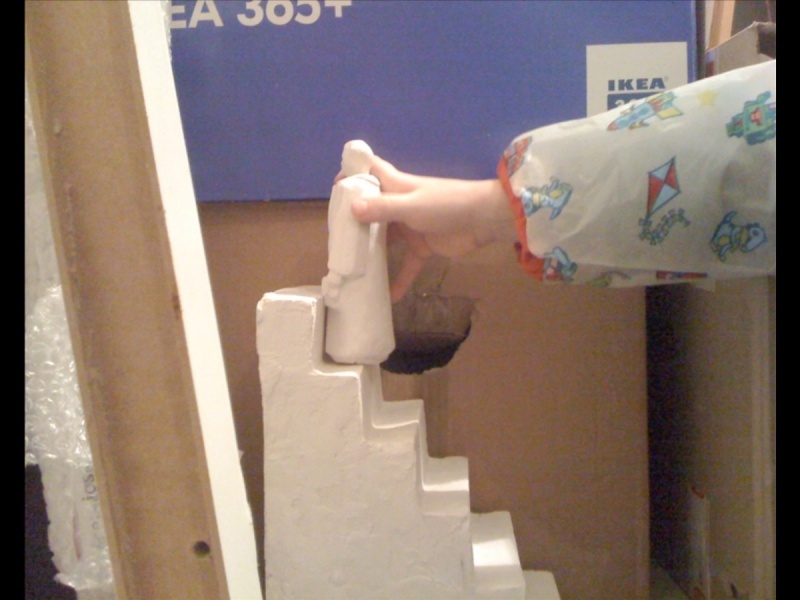 A plaster cast of a staircase and a small figure made after the huge statue of the first communist era president of Czechoslovakia Klement Gottwald. A figure was stepping up and down the staircase. I made a photo and slide show afterward.